A scanned black and white photograph shows the front of a white church with a steeple. A dirt path with trees on either side leads to the front door. 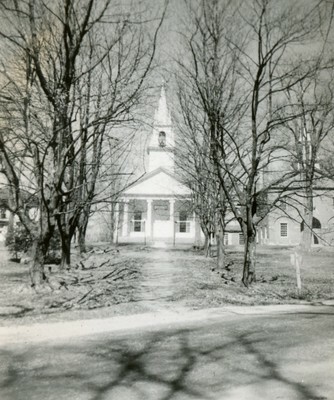 Written captions "Congregational Church" and "On the Common, Wiscasset" are on the page.